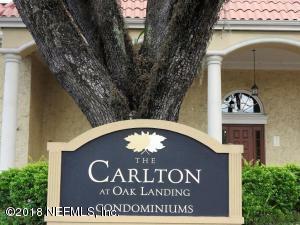 Carlton At Oak Landing is located in the San marco area of town and has a lot to offer in the way of lifestyle and convenience, with a great selection of Place of Worship, Grocery Store, and Restaurants. Both families and young professionals will find an ample array of Place of Worship such as Jacksonville Church of Sience, United Methodist Church District. Carlton At Oak Landing is easily accessible to several major Jacksonville thoroughfares, so commuting to and from work is a breeze. With great amenities like these, Carlton At Oak Landing has become the choice location for many new San marco residents.There are currently two Homes on the market for sale in the Carlton At Oak Landing Neighborhood of San Marco FL. Looking for a New construction homes in San Marco? Please take a look at our New Homes section to see what's available. We are San Marco Real Estate specialists who are here to help you in your home search, Contact us today to start your home search. View list of all Subdivisions in San Marco. 2 br | 2 ba | 1018 sqft. 1 br | 1 ba | 758 sqft.